There is an old saying that "a picture is worth a thousand words." Rights and Reproductions Associate Hillary Kativa discusses theater posters for a production titled The Wages of Sin. 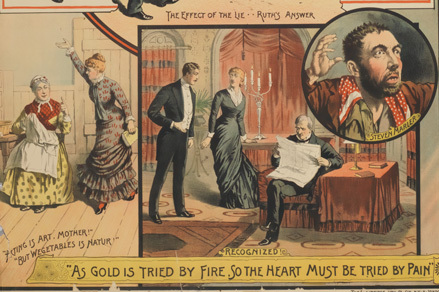 The posters depict a morality tale that gives a glimpse of late 19th-century performance art and convey a broader sense of social values of the period. For more information on these posters, please visit the Digital Library. In the Stories From the Archives video series, HSP staff members highlight their favorite items from the collection.